Dr. Hurst graduated from Univ. of Detroit-Mercy School of Dentistry in 1999. After graduation he received advanced restorative and surgical training during a yearlong residency at the John D. Dingell Medical Center in Detroit Michigan. He also received advanced training at the prestigious Pankey Institute, the 3i Implant Symposium, Dale Carnegie Institute, and is Invisalign certified. He is past President of the Detroit District Dental Society's Eastern Branch and held membership in the ADA and MDA. He is a current member of the Academy of General Dentistry. 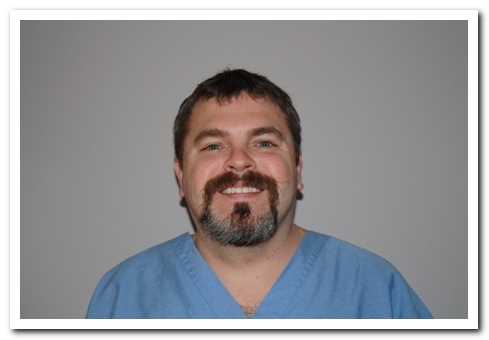 Dr. Hurst enjoys all areas of dentistry and sees patients of all ages. He feels that it is very important to listen closely to his patients and address their immediate concerns. He believes patient education is the key to long term maintenance of optimum oral health. When not working, you would find Dr. Hurst relaxing with his wife Jennifer and his three children, Abigail, Grace, and Jack. They live in Grosse Pointe Farms and are very active in the community. He is a sports enthusiast and loves to go fishing on Lake St. Clair.